If you are like me, then the day of the Oscars is like your Super Bowl. I absolutely love the Academy Awards, have since I was a child. I remember watching them completely facscinated with the ceremony. Now that I've gotten older, I also like to watch the pre-shows and make snarky comments about bad dresses, but it still all comes down to the awards for me. I love them. Viola is a rich, dark aubergine creme that leans a bit brown. 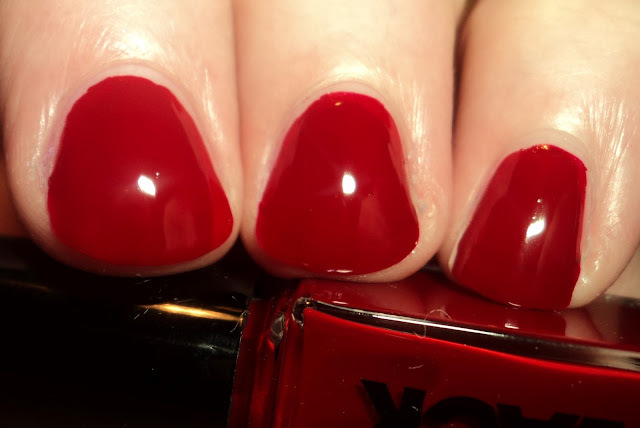 It's a gorgeous vampy color. 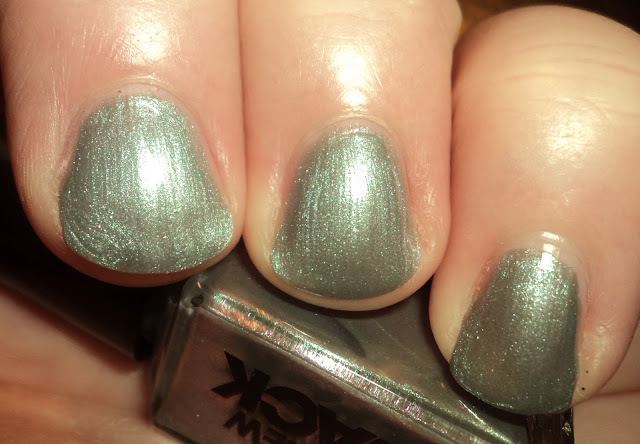 I love the name of this polish. I think Viola Davis is one of the most incredible actresses of our time. I could seriously watch her read the phone book. 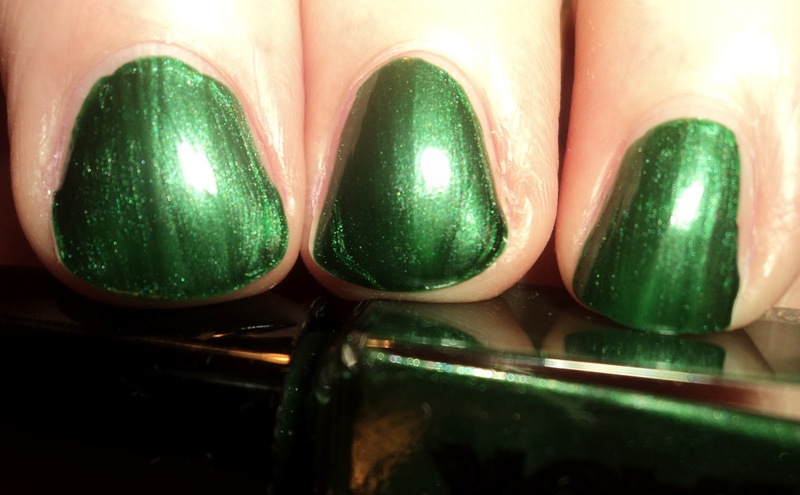 As for the polish, as much as I love the color, the application left something to be desired. The formula on this was very thick. I had to go slow and be very specific about my strokes. 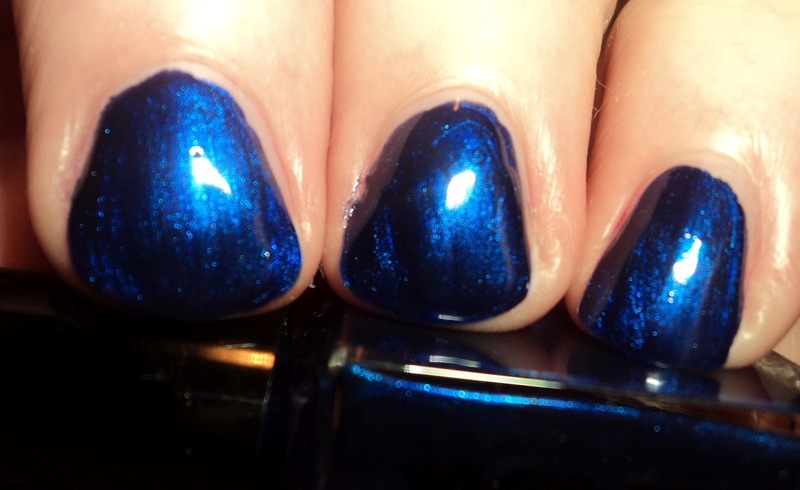 The color is so pretty, though, that I think it's worth trying a few drops of thinner to see if it's more manageable. Picture is 2 coats. 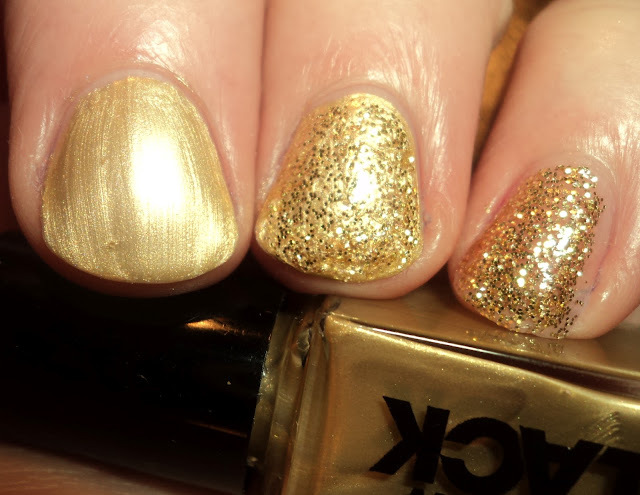 Oscar is a golden glitter topcoat. 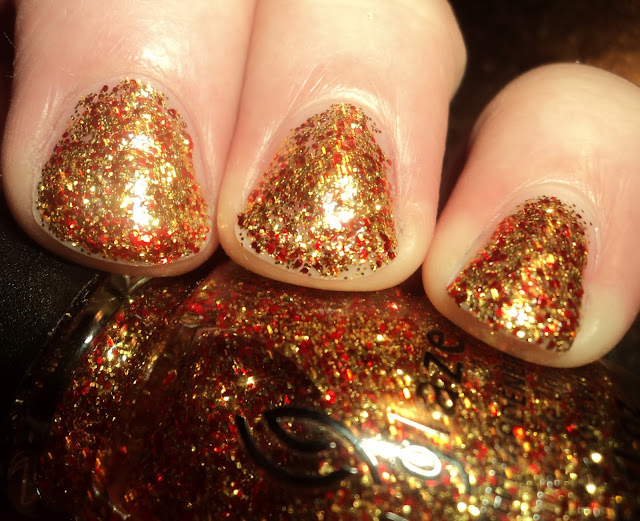 I'm calling this a topcoat, but in all honesty, this is so saturated with glitter that you could probably use it alone. It will probably take 3 coats to reach opacity, but unlike Viola, the formula on Oscar wasn't thick or goopy, so you should have no problems with multiple coats. I really like the contrast of Oscar over Viola, but I also think this would look amazing over a gold polish. Picture is one coat of Oscar over Viola on my ring finger. 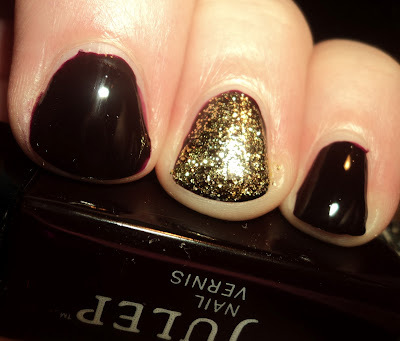 All in all, I like both of these polishes. The color on Viola is amazing. I haven't compared it to my collection to check for dupes, but there is a richness about it that makes it quite special. I just wish the formula was a bit easier to use. Both of these polishes are available at Julep.com and retail for $14 each. These were sent to my in my Julep Maven Box. You can sign up for Maven on their website.